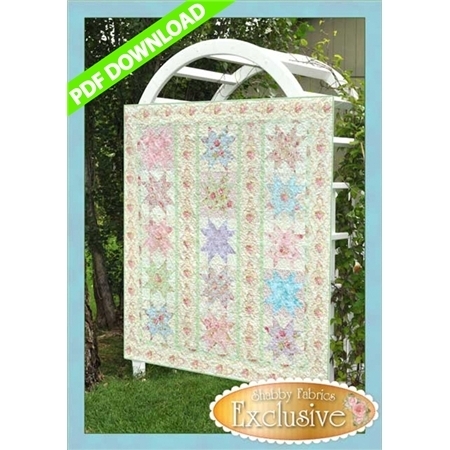 This Shabby Fabrics Exclusive design features the sawtooth star block. 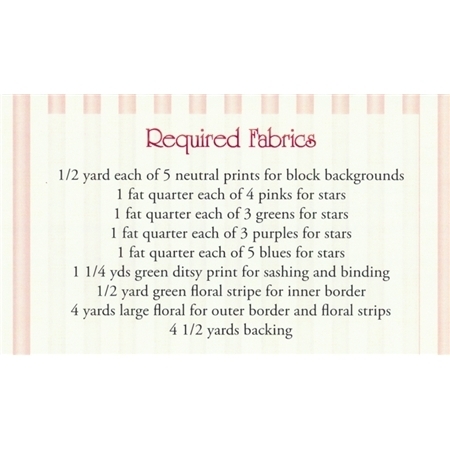 Choose 15 fat quarters and some yardage and you're on your way to creating this beautiful quilt! This is a great project for beginners. Pattern includes all instructions to make the 66" × 74" quilt. Designed by Jennifer Bosworth of Shabby Fabrics.